Easy and Simple Summer Decorating Ideas | Nina Hendrick Design Co. This post may contain affiliate links. Please read my disclosures here. 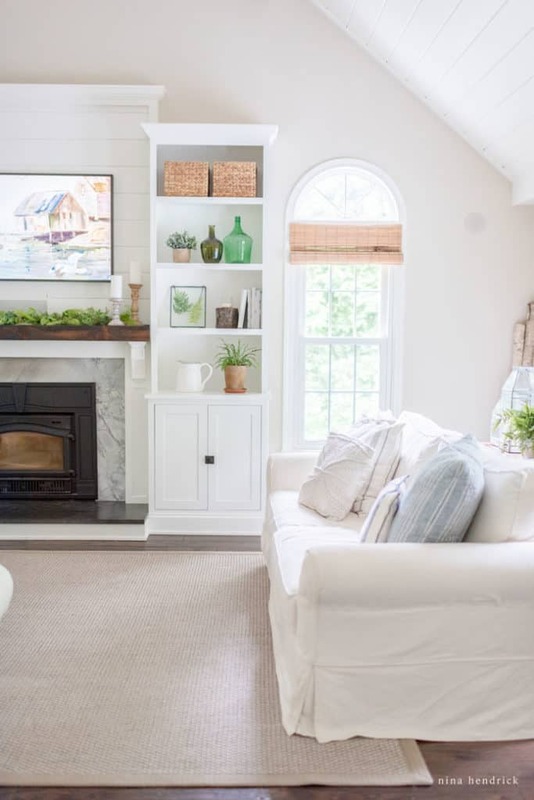 Easy and Simple Summer Decorating Ideas | These summer decorating ideas focus on giving your home some breathing space and taking it easy for a season of relaxation. Summer is in the air! 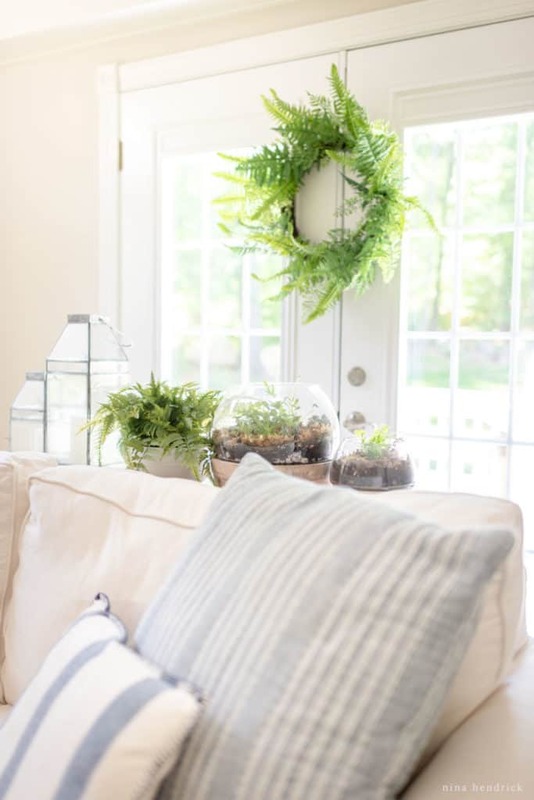 Today I’m going to share some of my favorite easy summer decorating ideas as part of the Seasonal Simplicity Summer Series hosted by my friend Krista of The Happy Housie! If you’re stopping by from The Turquoise Home, welcome (If not, make sure to jump on over and visit Laura’s beautiful home). We have over thirty tours to share with you, so there’s plenty of inspiration to be found at the bottom of this post! 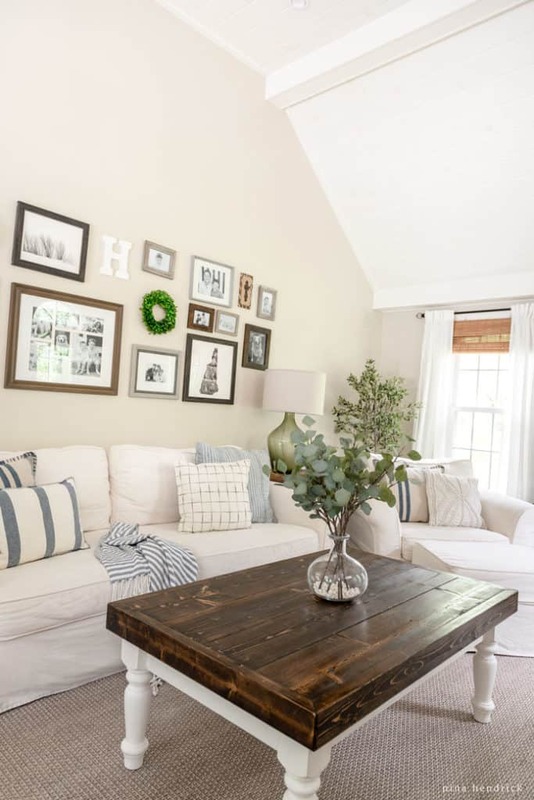 Today I thought I would share some of the extremely simple ways that I decorated our newly renovated family room for summer. To be honest, summer is kind of the season where I “un-decorate”! I love that there’s just less stuff around and it gives the whole house a chance to breathe. More and more as time passes I find myself being drawn to the idea of simplicity. Although my husband accuses me of having a throw pillow obsession, I actually have a strategic set for each season. My summer pillows are blue and green with various stripes and textures. These are the colors that say summer to me, they remind me of the lake and all of the greenery we’ve missed during the summer months. 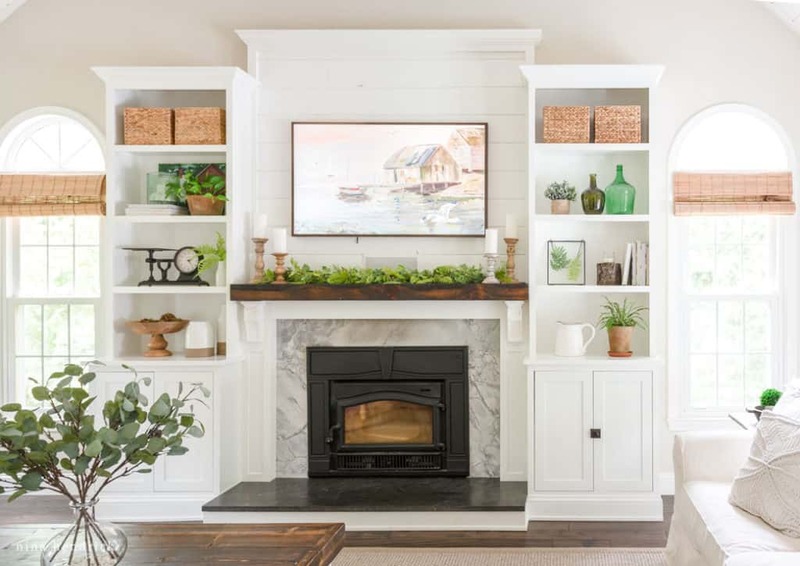 I mimicked this land and sea idea in my styling of the built-ins and my Grandfather’s summer-themed painting that I uploaded to our Frame TV. We just visited Newport and Block Island last weekend, and this painting now reminds me so strongly of that trip! Other ideas for bringing sea-inspired decor to your space are sea shells and fisherman floats. You can use anything you happen to find on your summer adventures! Rather than style a vignette for the coffee table, this season I opted to just place a simple vase with eucalyptus leaves on the coffee table. It’s easily moved for family game nights, snacks while entertaining, or putting our feet up. I have a mix of real and faux plants all around the room. 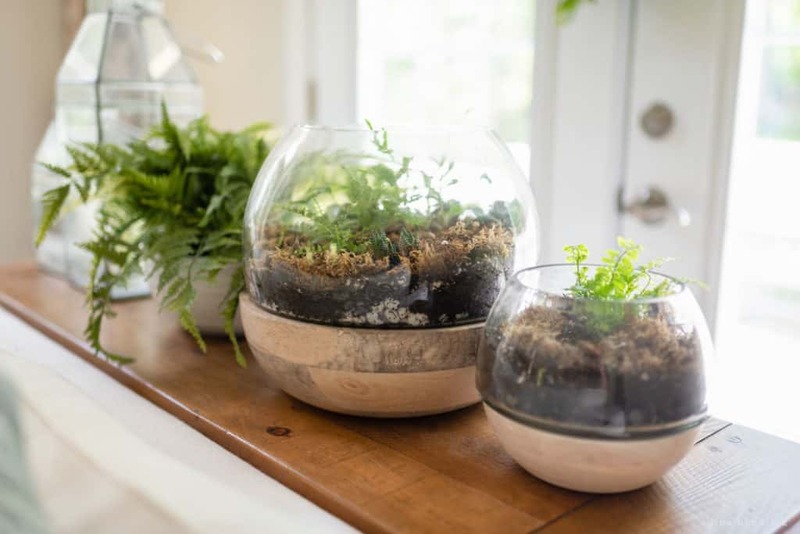 These terrariums are real and (I hesitate to say this because I’m going to jinx it) thriving. My three-year-old and I had a blast playing in the dirt and planting them. I will share the tutorial soon! Since planting the succulents have become enormous, they seem to love the light that comes in through the French doors. I’m actually worried I have to move some plants! This is very outside of the normal for me. One of my goals this year was “learn how to keep houseplants alive”. 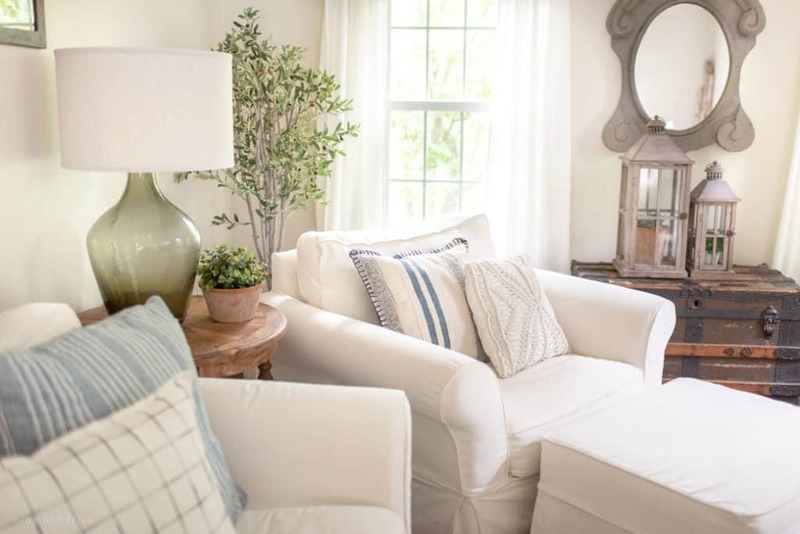 I hope that you enjoyed these simple tips and easy summer decorating ideas. How do you like to decorate for summer? Make sure to stop by and visit Home Made Lovely and Shannon’s beautiful home next! So lovely, Nina! 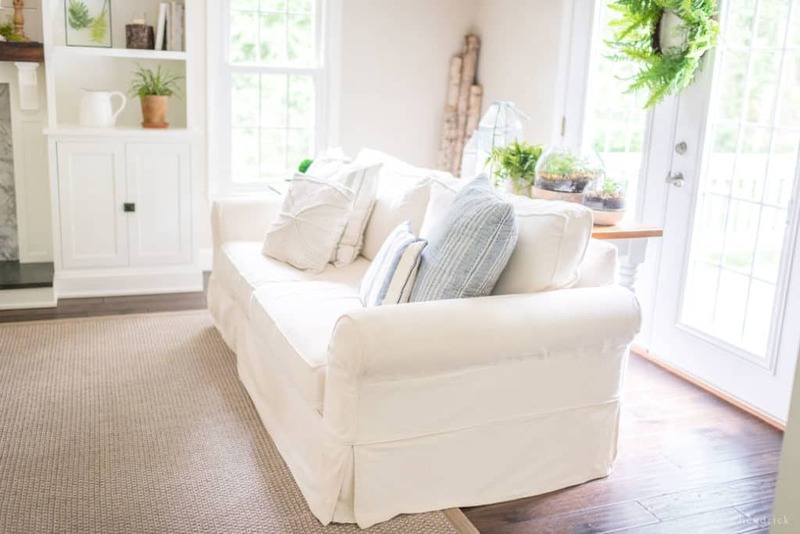 Light and bright and airy and I love your summer greenery! So glad you could be part of this tour, friend! It’s all so beautiful, Nina. I don’t ever remember seeing this room before so to me it’s new and just stunning. I love all the wonderful light in it. Love your family room Nina! And the pillows are oh-so cute!! So fun “hopping” with you! Happy Summer! Your space is so light and calming, Nina! I love how you added summer greenery for that extra summer relaxation feel. Hi Nina! 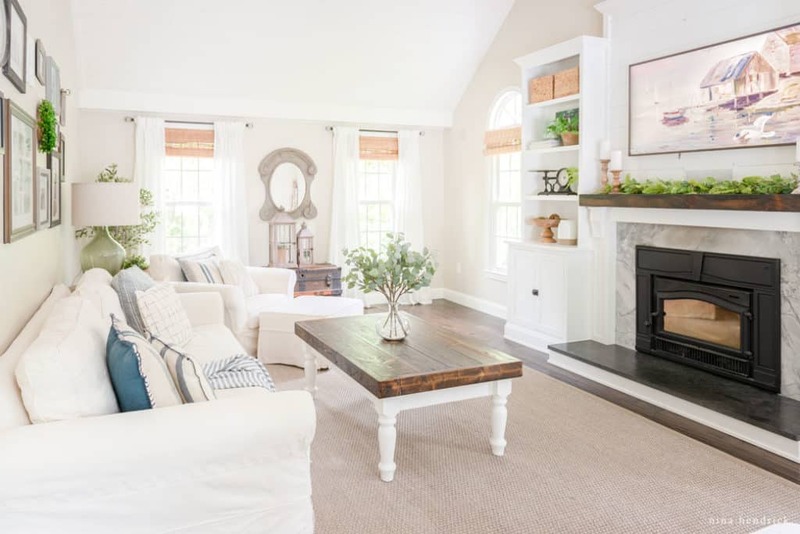 Your family room came out beautifully! My living room is also painted edgecomb gray and I have been in search of a rug just like yours for it. Would you mind telling me where you got it? Thanks so much! Hi Candice, It’s a custom rug from Sisal Rugs. Our living room dimensions are strange, so it’s 14′ x 8′. I’m planning a post on why we went in this direction- but they offer normal dimension rugs as well! We chose the Cabo Wool Sisal bound in the Extra Wide Canvas in Putty. I hope that helps! I’m all about the grow something green! What lovely soft touches of color you have brought in! Perfection! How fresh, cool and relaxing this room looks. I was hovering on the internet to find out best decorating solution for me…guess what.. I think now I’m in a right place now. Great post!!! I read your other posts too and those were awesome….keep sharing!!! 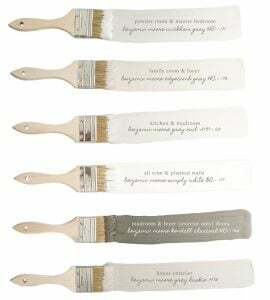 Just a small town New England girl with a passion for all things home. The thing I love most about what I do is helping people create a meaningful space that they can enjoy with those they care about. A membership experience & community where homemakers learn how to create a home that is both beautiful and meaningful. Subscribers receive access to our Free Printables Library, our private decorating Facebook community, and all our latest news!